Fundraiser by Amy Brunswick : Fund Lazos for One Year! Fund Lazos for One Year! Lazos America Unida means American Ties that Bind! Our mission is to share traditional and indigenous Mexican culture, to empower and uplift women and to serve the community. We provide services such as youth groups, dance clubs, heath screenings at the Lazos center, and we host workshops on immigrants rights, college preparation, and Mexican arts and culture. We organize festivals and cultural celebrations such as Guelaguetza and Dia de los Muertos. 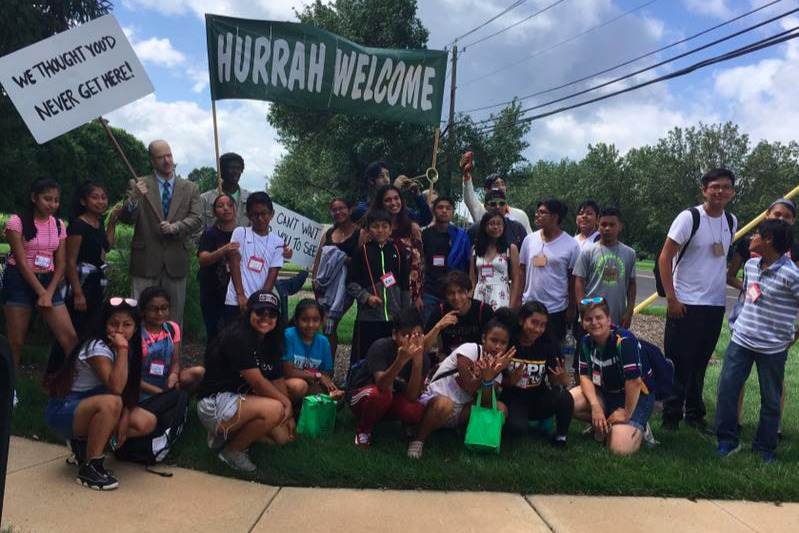 Here's a video about our teen summer camp this summer, made possible in partnership with Rutgers! We work hard to adapt to the challenges and meet the changing needs of the Mexican diaspora in New Jersey, but now we need your help! All Donations will be used to keep our community center open and providing workshops, services, clubs, youth activities and more! All contributions are greatly appreciated. We are truly grateful for your support! You can learn more about Lazos at our website (which is still under construction by volunteers, please be kind) or on our facebook page.